Your Immune system can be depressed by various external influences including emotional stress, physical stress such as inadequate sleep or over working, environmental chemical exposure, UV rays, certain drug therapies, blood transfusions and surgery. Dietary habits also have an impact on the immune system. Excessive fat, alcohol or refined sugar consumption or inadequate protein, calorie, vitamin, mineral or water intake leads to a decline to immune performance as well. In addition, the biological state of aging counteracts immune function. Let’s take a look at what the ‘Immune System’ is. The immune system is the combination of a variety of a trillion white blood cells, bone marrow and the thymus gland to name a few, which help to identify and destroy the millions of bacteria, viruses, parasites and fungi that invade our bodies every da y, and the thousands of our own cells that have become genetically abnormal or cancerous. It is known that the immune system is considered as complex as our nervous system, and is not only able to produce a matching antibody for every one of the millions of different infective agents, but is able to remember how to produce these agents decades later. The strength of our immune system determines our body’s ability to resist infection and the growth of abnormal (cancerous) cells. If it is below its optimum level, we are much more prone to illness, both from infections and cancers. Without an immune system at all, we would not survive very long in the outside world. A good indicator of the level of our immune system is how energized or alive we feel. If we feel low or weak, our immune system is most likely to be low and weak. We are intuitively aware of this which is why we use expressions such as being “below par”, “feeling low” or being “under the weather” when we are feeling unwell. Usually we try to compensate for these “low” feelings by drinking more caffeinated drinks, eating more sugar and taking pain relief tablets, anything that gives us a chemical ‘buzz’. Whilst this might give temporary relief, it is a dangerous long-term solution as we will find ourselves having to take more and more of these quick fixes just to maintain normal functioning energy. That is why, for example, so many of us NEED that cup of coffee in the morning to get going — our systems have been conditioned by an unhealthy lifestyle to tick over too slowly. So a strong immune system not only determines how healthy our bodies are, but our mental state as well. 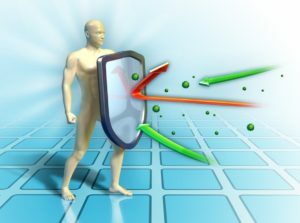 Here are the factors that diminish the immune system and how to boost it up. The modern diet is depleted of many of the antioxidants, vitamins, minerals, and other nutritive factors that are necessary to the body to maintain a healthy immune system. Supermarket fruit is often picked green before the nutrients have a chance to develop. 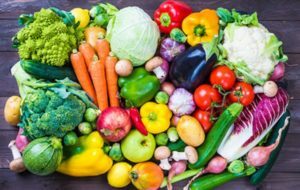 The vegetables are often grown in depleted soils (if the soil is depleted, anything that grows in it does not have the full range of nutrients); and the meat comes from cattle that not only eat a depleted diet, but are often injected with hormones and steroids. Food that isn’t fresh is often processed to prolong shelf life by adding preservatives, this is great for the supermarket business but maybe not the best thing for our optimum health. The immune system requires optimum nutrition in our diets in order to function well. If just a few vitamins or minerals vital to its processes are not available in adequate amounts, our immune system will be compromised. So to increase our nutritional intake we need to choose the healthiest food we can find, preferably organic and local-grown fruits and vegetables. Drink plenty of clean water (tap water with fluoride and/or chlorine is not considered clean – this will be discussed in later articles). Also avoid anti-nutrients that end up actually using the body’s nutrient store to metabolize it, rather than contributing to this store in the first place. Such anti-nutrients are sugar (including candies), white bread, white rice, alcohol (more than moderate amounts), biscuits, soda drinks, fast-food and dairy products (milk is not considered as the best thing for health– this will be discussed in later articles). As our environment becomes more polluted, our bodies have to cope with a greater toxicity. 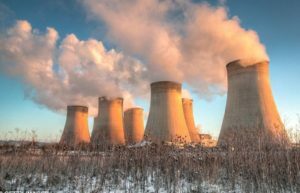 Pollution comes into the body through the food we eat, our lungs and our skin, and also from over exposure to sunlight and electrical equipment. When the toxic load increases, the immune system has to work harder to identify and detoxify these pollutants which will lower its efficiency. Some toxins and chemicals can even cause abnormalities in cell growth and reproduction, leading to the development of cancer cells. These are occurring every day, not only through the action of certain environmental pollutants, but also through occasional mistakes being made in normal cell production. It is the immune system’s job to destroy these abnormal cells before they have a chance to multiply, but if the load is too great, its prevention ability is severely stressed. To reduce pollution in our bodies we need to eat more organic food and not smoke. There are doctors around who will not take on a patient if they refuse to stop smoking as this is a sure sign that they don’t really want health. It is imperative to drink plenty of clean water (at least 2 litres a day) so that we are able to flush our bodies of toxins that have been accumulated. Minimize sun exposure as the sun and other sources of electromagnetic radiation are common factors that use up much of the bodies immune resources and so it should be reduced (a little bit of sunlight is actually strengthening for the immune system). When we are stressed, our bodies are designed to get ready for action (fight or flight) by diverting all resources to the muscles. Bodily functions considered unnecessary in an emergency situation are temporarily closed down such as digestion, repair mechanisms and immune function. Whilst this was fine in human history of survival, such as being involved with danger, modern living often involves situations in which we are chronically stressed, and this means that our repair mechanisms and immune response are continually impaired. This can be greatly compounded by lack of sufficient sleep which is the main chance the body has to repair and recover. Over time, stress and lack of sleep degrade our system making us prone to disease and premature ageing. Holiday’s can do wonders for the immune system. It is important, therefore, to pace ourselves in life as much as possible. 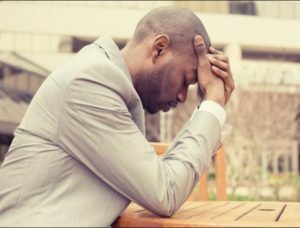 Stress really isn’t worth the higher exam grade or the money bonus because it sets in motion a terrible habit that will cause us serious health problems in the future. There are so many stories of people with serious health conditions that miraculously melted away when they started to let go and relax. We can help this relaxation process by getting enough sleep (at least 8 hours for most of us), choosing not to be around situations that make us angry, depressed and frustrated, and doing moderate exercise. Activities such as meditation, Tai Chi and yoga as a means to increase our relaxation levels and the feeling that we are in control of life. The feeling of being a victim in life or being out of control, can be and is very stressful. (Remember however that strenuous exercise such as long-distance running, cycling etc. should be avoided as it tends to last too long, reducing immune health).